Finish: Shorter to medium, medium warmth. Light pepper, oak, vanilla, milk chocolate, butter, maybe even a touch of smoke. 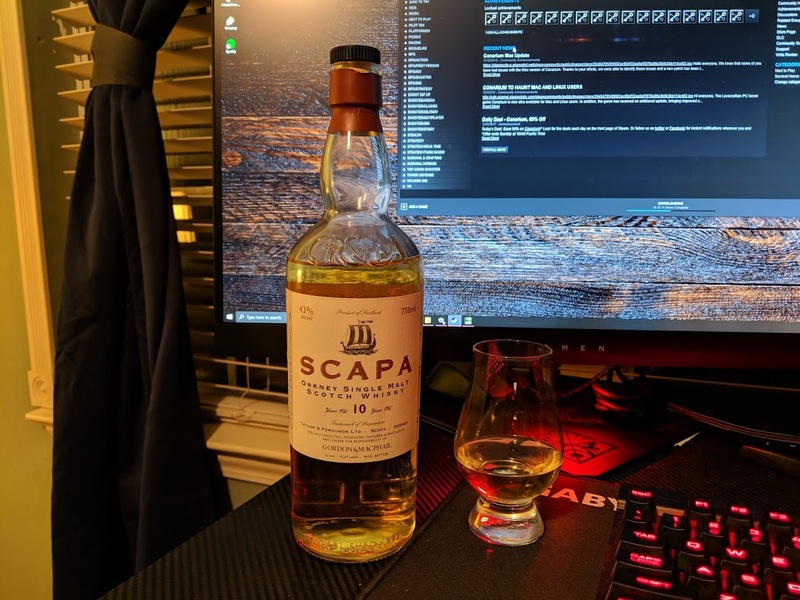 Thoughts: I have been wanting to try a Scapa for awhile, but I missed the boat on the 16, and I have yet to hear anything good about Skiren so I jumped to try this at a decent price. It’s a solid bourbon aged scotch and a great warm weather sipper.